Gaylene Preston began in film by accident, while trying to give a voice to those that didn't have one. She was working at a psychiatric hospital near London. Since many of the patients couldn't talk, the idea of drama therapy did not seem a useful idea. A friend proposed shooting a film instead. Preston found that the film, the first of many, offered these "people who everyone ignored" respect, and a public voice. After seven years in England, Preston returned to New Zealand in 1977 (she already had three years study at Ilam art school behind her). She joined the team of young filmmakers working for John O'Shea at Pacific Films in Wellington — a place whose spirit of creativity reminded her of "Walt Disney's garage in about 1938". Upon leaving Pacific, Preston combined stints as an art director and director, with freelance cartooning and photography. She worked closely with cinematographer 'Waka' Attewell on award-winning documentary short All the Way up There, which chronicled the struggle of quadriplegic Bruce Burgess to climb Mount Ruapehu. When Preston's film played in Kiwi cinemas alongside movie Middle Age Spread (which she incidentally worked on as production designer), theatre managers complained that viewers were feeling too emotional to go get snacks during intermission. Worried at the direction new right economics were taking New Zealand, Preston then decided to make Learning Fast (1980) which documents life and looming unemployment for a group of teenagers. Three years later she directed Making Utu, a behind the scenes chronicle of Geoff Murphy's epic Māori western. After meeting Robin Laing, partner of director John Laing, Preston decided that Robin had all the right qualifications to be a film producer. The pair formed Preston Laing Productions, and as Preston recounts in this video interview, found themselves at meetings where people would continue to look at the door after they had sat down. "It gradually dawned on us that they were waiting for the man to come in, and we had to say: 'Well there isn't one. You'll have to talk to us.'" The Preston Laing team would go on to work together on Mr Wrong, Ruby and Rata, War Stories Our Mothers Never Told Us and Perfect Strangers. Preston and Laing have been strong advocates of equality within the industry, and role models for a number of emerging women filmmakers. Mr Wrong (1985), Preston's feature film debut, was partly an attempt to avoid genre conventions of glamour, sexism and cultural vagueness. Based on a short story by English writer Elizabeth Jane Howard, the movie follows a woman (Heather Bolton) whose car may be haunted. The film undercuts thriller conventions that the woman must always get rescued by Mr Right. After facing disinterest from local cinema chains, Preston successfully rented out cinemas, proving that the film had an audience. In the United States Mr Wrong was retitled Dark of the Night, where critic Judith Crist called it a "dandy little thriller marked by excellent performances". There was a five-year gap before Preston's next feature, during which she had a child, and was commissioned by Thames Television to make a documentary about writer Keri Hulme (Kai Purakau). Preston argued that Hulme and her work "offer us a bridge and insight into the past and present" of two older cultures. Originally conceived as a television series, Ruby and Rata is a cross-cultural comedy about an old Pākehā woman, a young Māori solo mother, and her son. Preston bought a house in the Auckland suburb of Mt Albert to film it in, which was later sold for $30,000 more than the purchase price. Written by Preston's longtime writing collaborator Graeme Tetley, Ruby won five awards at the 1990 NZ Film Awards. Preston's next two projects made nods to the past. Mini-series Bread and Roses (1993) dramatises the formative experiences of social activist and politician Sonja Davies. Keen to make a fictional film based around the World War 2 period, Preston and Laing soon realised that Davies' autobiography had the qualities they were looking for. Evening Post reviewer Ian Pryor wrote that Bread and Roses "overflows with memorable impressions of our country and our people"; Australian Genevieve Picot's portrayal of Davies also won wide acclaim. An early Kiwi documentary to win a theatrical release, War Stories (1995) revolves around a group of women recalling their experiences of World War ll. The film was inspired partly by Preston's mother Tui, one of those interviewed. Preston has said that having grown up in the aftermath of the war, "the stories that I heard around my mother's skirts were stories of the war". War Stories had its European premiere in the official selection at the 1995 Venice Film Festival. Over the next few years Preston concentrated on documentaries, directing Hone Tuwhare, Getting to Our Place (alongside Anna Cottrell — about the creation of Te Papa museum), and Titless Wonders (about women who have experienced breast cancer). With twisted romance Perfect Strangers (2003), starring Sam Neill and Australian Rachel Blake, Preston returned to her beginnings in the thriller genre. She intention was to see how much she could push the conventions of genre storytelling. Reaction to the film was mixed; some argued that the negative reviews were largely written by males. Preston's next feature was Home by Christmas, based on her father's memories of serving in WWII, and her mother Tui's life on the home front (as recounted in War Stories). Released in New Zealand in late April 2010, the film stars Goodbye Pork Pie's Tony Barry, Martin Henderson, and Preston's own daughter, Chelsie Preston Crayford. A 'making of' documentary can be viewed here. Preston went on to co-direct award-winning docu-drama Strongman: The Tragedy (this time with Paula McTaggart), about the 1967 Strongman mine disaster. She followed it by spending extensive time in Christchurch researching mini-series Hope and Wire, which debuted on TV3 in mid 2014. Following a range of Christchurch characters during and after the 2010 and 2011 quakes, it includes scenes where characters address the audience directly, and music from Lyttelton band The Eastern. The Herald's Michele Hewitson found the result clever and compelling, "a love letter to poor battered and shaken Christchurch, and a lament". Preston advised Christchurch viewers not to watch it. Preston's next project is My Year with Helen. The documentary follows former Prime Minister Helen Clark during the year she campaigned to become the first female Secretary General of the United Nations. Filming in and around the UN's New York headquarters, where Clark worked, provided many challenges. Preston often operated the camera herself. The film chronicles Preston's fascination with the workings of power, and her belief that at the UN many clever and well-meaning people "are forced to operate within an antiquated system". The film gets its world premiere in June 2017, in the Special Presentation strand of the Sydney Film Festival; screenings at the NZ International Film Festival follow soon after. Preston has also edited special war-themed archival films, which were projected on the outside of Auckland War Memorial Museum around Anzac Day. Preston's work has won a range of New Zealand screen awards (including best film for War Stories) plus international advertising awards — including a Silver Cannes Clio and Mobius Award (Chicago) for outstanding direction of a commercial. Her films have been selected for major film festivals including Venice, Sundance, Toronto, and Melbourne. In 2001 Preston was honoured by the NZ Arts Foundation, becoming New Zealand's first Laureate to be a filmmaker. 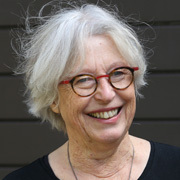 In 2016 screen organisation SPADA gave her an Industry Champion award for "her significant lifetime commitment to New Zealand film and television"; Two further accolades have followed: an award for Services to Cinema at the 2017 NZ Film Awards, and being made a Dame Companion of the NZ Order of Merit in the 2019 New Year Honours (she was made an officer of the order in 2002). On becoming a Dame, Preston said she was proudest of having raised a child while following her creative talents. Preston is glad that long ago she decided to return home from England. "I must say that the decision I made in 1976 to leave my lovely life in South London and come back to New Zealand as a bit of a fish out of water has ultimately given me a community of amazing artists. We’ve all developed together and we are very blessed to have each other. I love the new people and the young people coming through, and I think we’ve got a great filmmaking community."